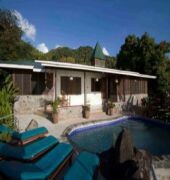 This charming club resort is located within a few minutes of Soufriere town, and the eco hotel offers a free shuttle bus to Jalousie Beach (7 minutes). St. Lucia Drive-In Volcano and Sulphur Springs are around 5 minutes from the hotel using public transport and the international airport is approximately 45 minutes away. 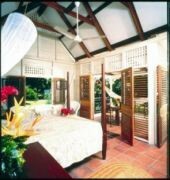 The spa complex offers 17 private villas on a 27-acre lush plantation, offering magnificent views of the Pitons and Caribbean Ocean, perfect for couples seeking a tranquil and romantic retreat. 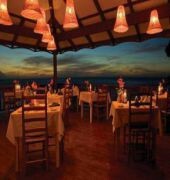 This resort features friendly and personalized service, a restaurant serving delicious Caribbean fresh cuisine, a spa and salon, and a boutique. 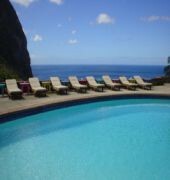 The hotel offers a free shuttle service to the nearby beach and Soufriere town. Further facilities include a lobby, currency exchange facilities, a hairdressing salon, a bar, WLAN Internet access and room service.